I joke that I have every embroidery floss colour known to man. Well, I may not have every one, but I come pretty close. I love having such a choice of colour to work with. But, it can be troublesome to work with. Over the years I have tried a few methods of storing my thread and today I thought I’d share the way that works best for me. And it wont cost you a penny – just a little time. 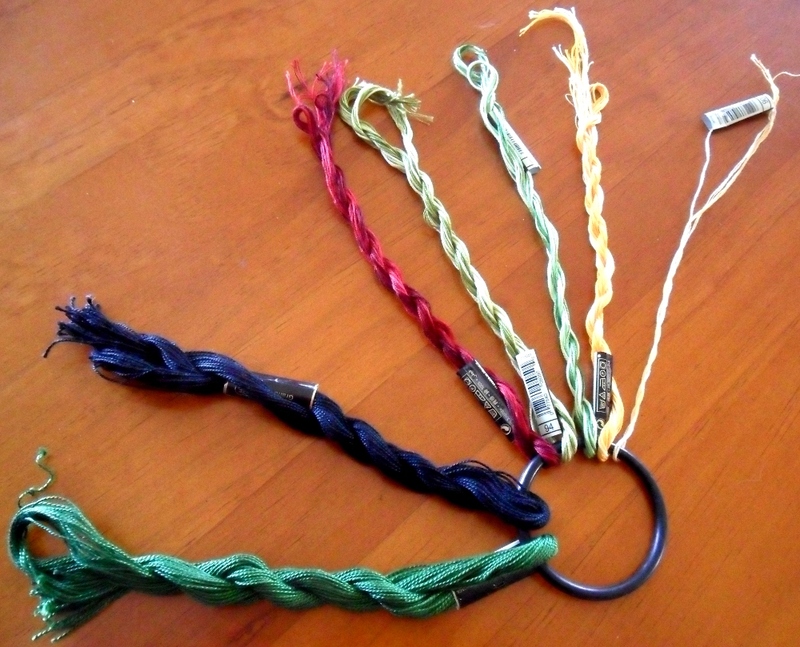 If stored incorrectly, embroidery floss can be a real chore to sew when you get lots of tangles and knots. 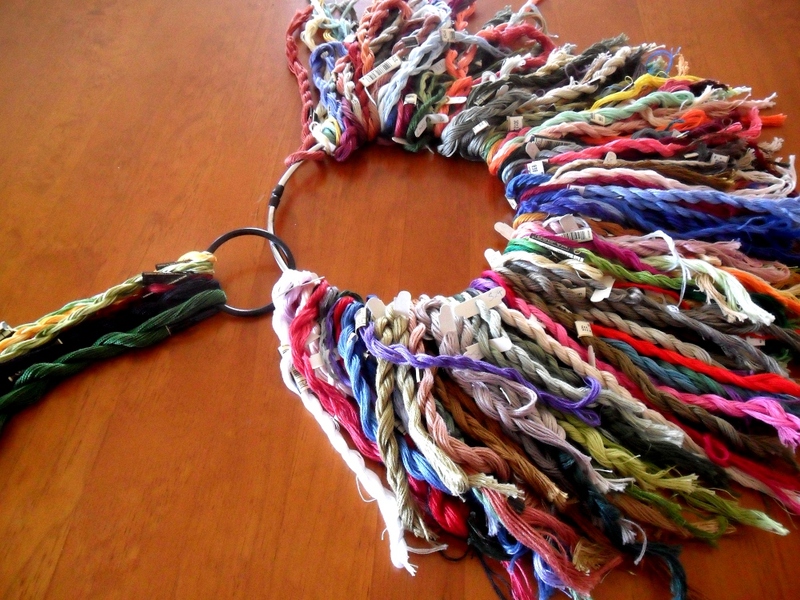 Got a bag full of loose, tangled, inseparable threads? Or maybe those little white cards with their compartmentalised boxes that look very organised and neat? Not only can that method be expensive, I found it caused too many kinks from being wound around the card and hence knots when sewing. 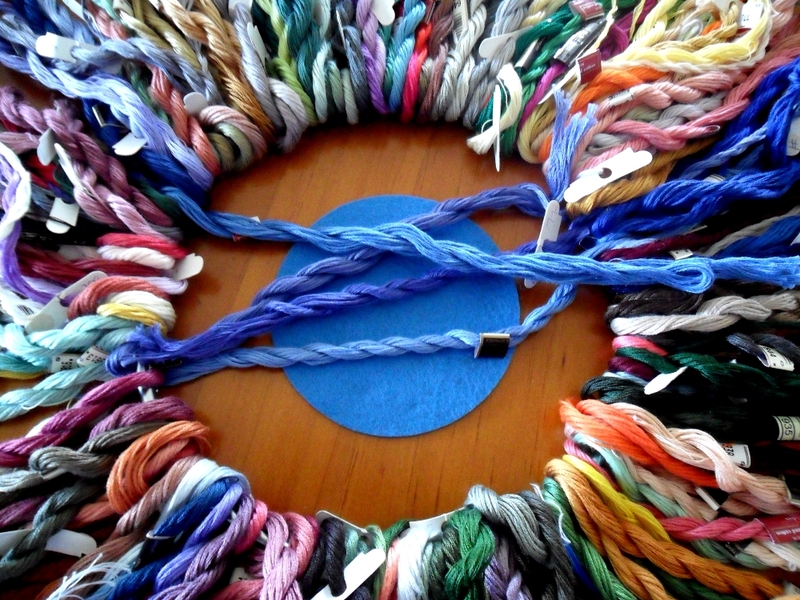 Also, embroidery floss generally comes in 6 strand, 8 metre lengths. 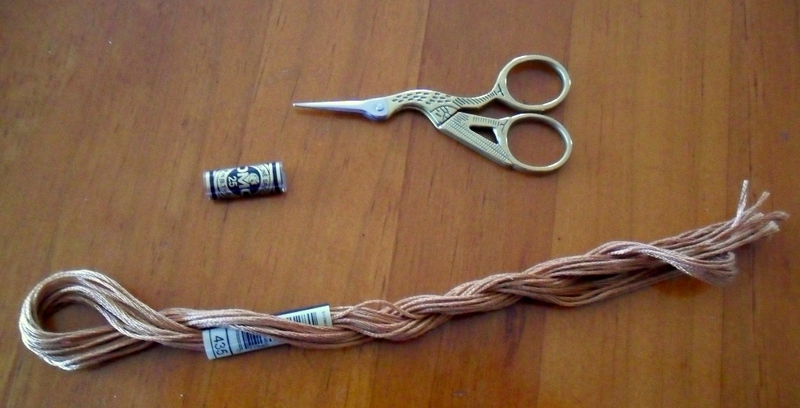 This can be tricky if you only want one or two strands, or a little bit for a small piece of embroidery, and often a whole skein can be wasted if it’s not separated carefully. So how do I avoid those pesky tangles and the hassles of different lengths? I pre-cut all of my floss to the same length for starters. This is particularly handy if you need 2 strands of different colours as is quite often the case in intricate cross stitch patterns. Carefully remove the label rings with the number and brand – don’t throw them out – you’ll need the number at least. When it has all been unravelled, catch the other end and align it with the end you held onto at the start. 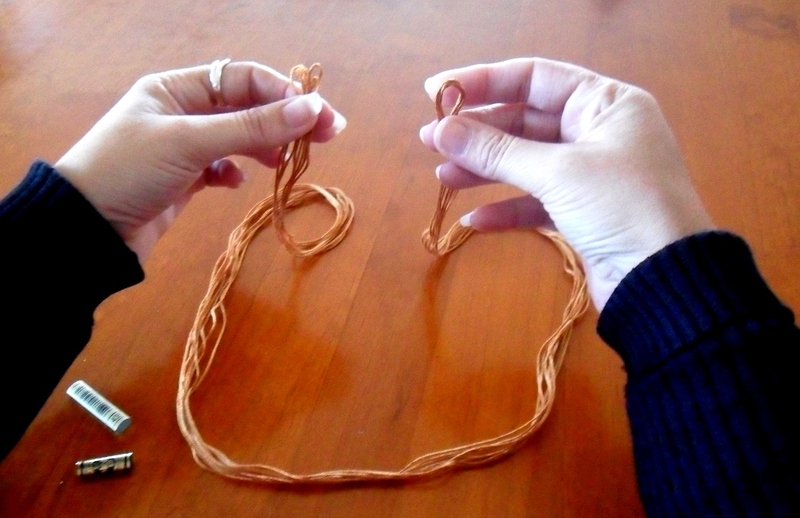 Double the thread carefully – if you go slow, you wont tangle it. If tangles start to form, gently work from the looped end up. Now double again and keep doing so until you have a length that you are comfortable working with. 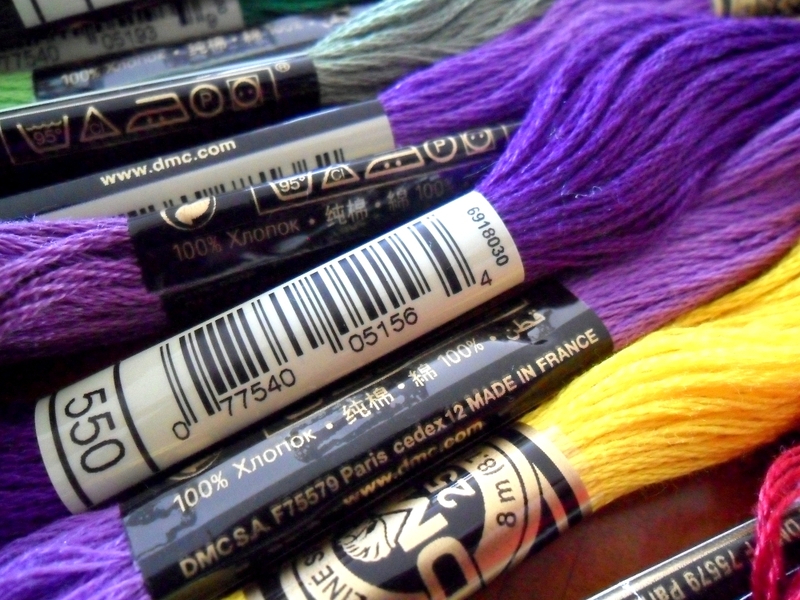 I generally use DMC floss and I like my length at about 100cm (about 39 inches) which is 8 lengths of 6 strands each. Fold the threads over one more time and slip the paper ring with the colour number over the loop with no ends and the brand label as well if you want to. Voila! 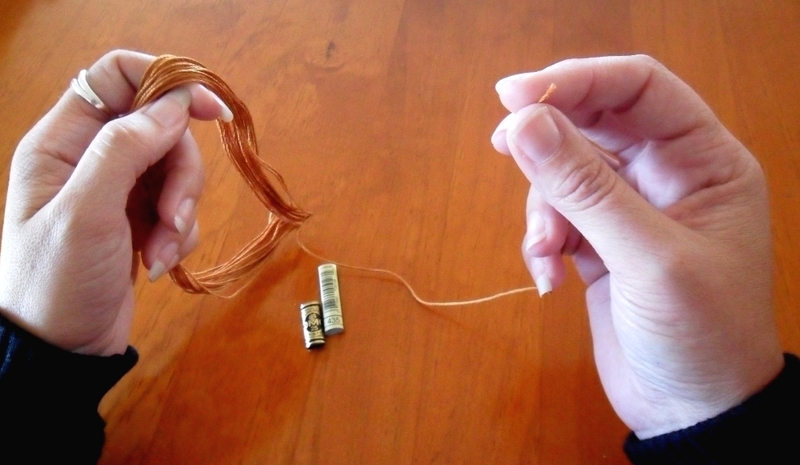 A neat skein of thread. If you are using already started skeins, just do the same keeping an eye on the length so you can keep it roughly the same lengths as full skeins. Now how to store those neat skeins? I have a large metal hoop (that used to be a belt hanger) I use to store most of my threads on & yes I do keep them in number order. This is a hangover from my cross stitching days when the number was very important. If I started again today, I’d probably store them in colour groupings. I find this to be a great method. 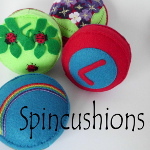 If I need to match a thread colour to a felt piece I am working on, I put a bit of the felt in the centre and bring the various shades into the centre & see what matches best. Of course, you can do the same thing with smaller collections of floss too. 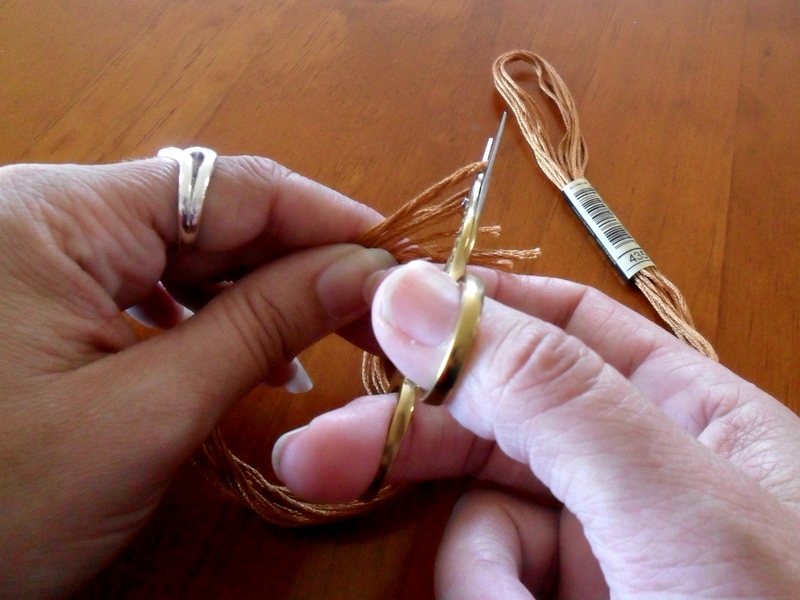 I have a small plastic ring that I use for smaller projects, or in this case different threads. 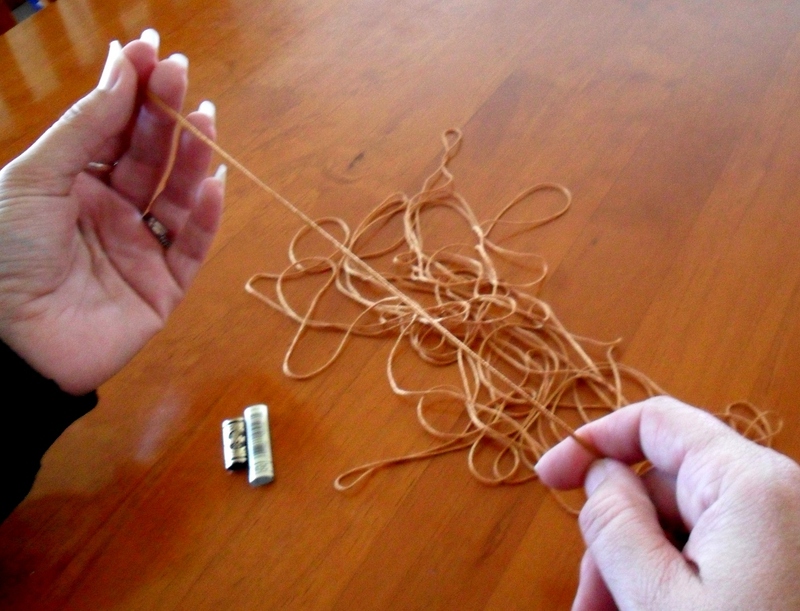 Getting one or two threads out of the twisted skein is easy. 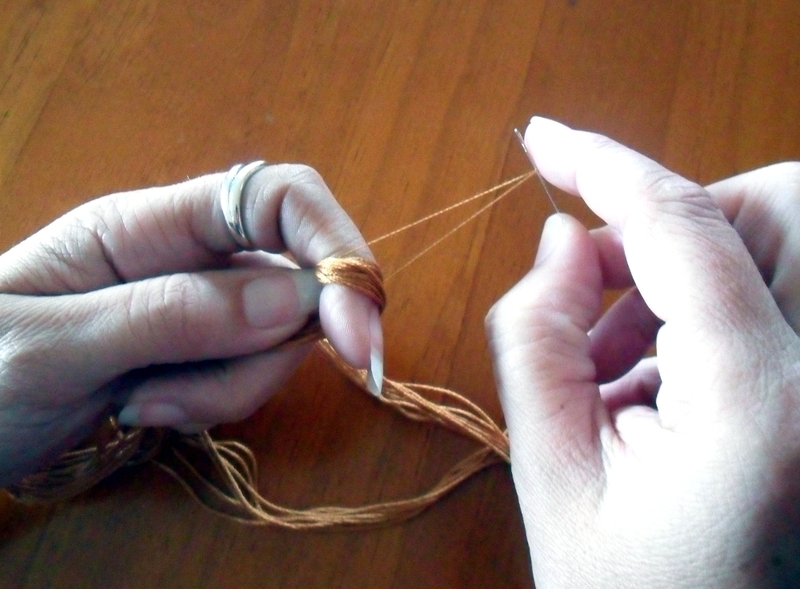 Just take the cut ends out of the loop and untwist the skein – place the loop over your finger, holding it firmly & using the wrong end of a sewing needle, pick up a thread and pull it out. If it starts to get snarled, pull from the bottom, cut ends and try again. 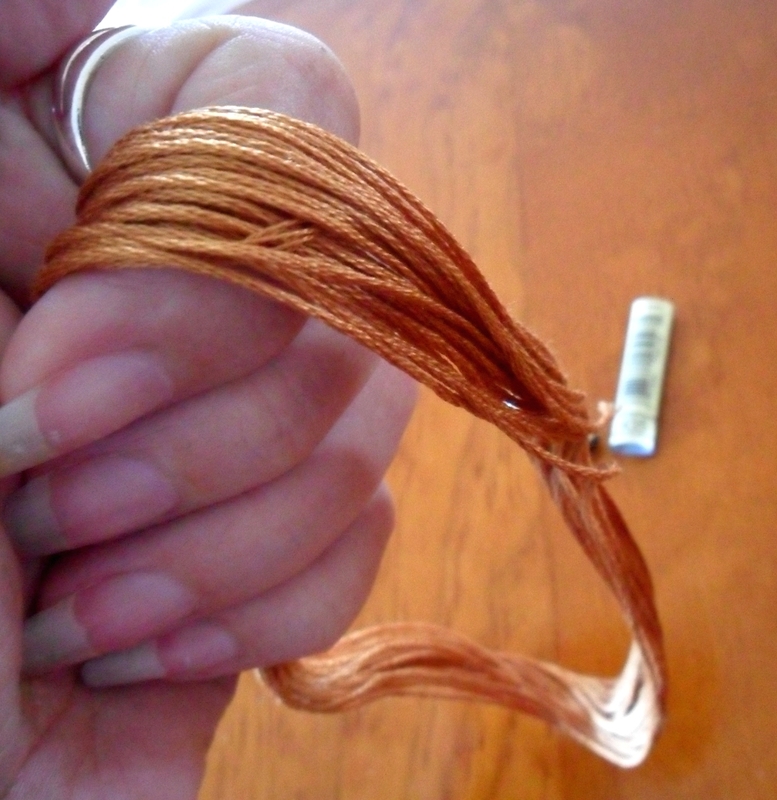 Then re-twist your skein. The labels come in handy too. When I run out of a colour, I pop the number label in my purse & grab a new skein next time I’m in the right place. 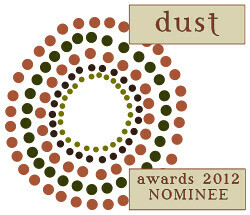 I hope this has been of some use to you. It does seem a daunting task to re-organise if you have a lot, but I assure you, the time and angst saved from tangles while embroidering makes it well worth the effort. 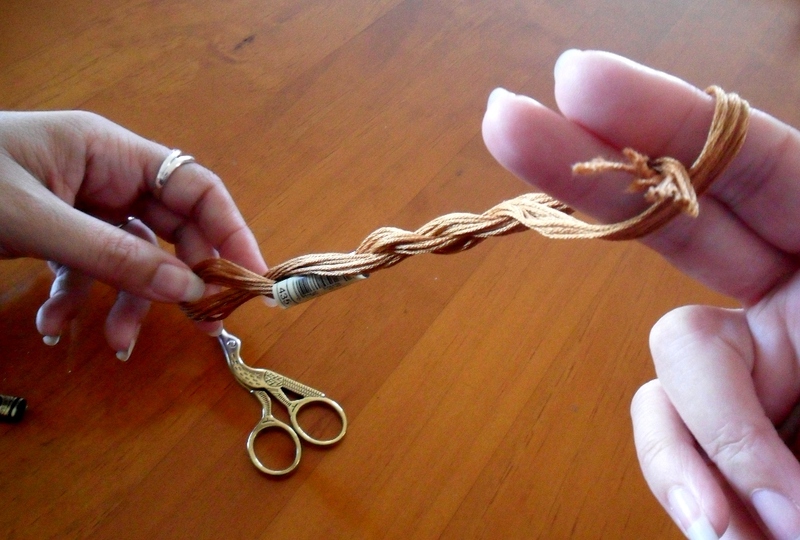 I’m not saying you wont ever have a tangle or knot again – you will, but you will have a lot less.